Here you are able to select products and services that directly relate to rideshare drivers particularly Uber and Lyft drivers. You can consider this a specialty Uber driver shop or Lyft driver shop. One of the deficiencies on the web is that there are so few places that have made an effort to collect products that directly relate to Uber and Lyft drivers and their needs. 2) Services – intangible services like insurance or auto maintenance designed for Uber and Lyft drivers. If you want to purchase rideshare accessories from this website, then when you are ready to check out, you will be redirected to Amazon.com. Given that most people have an Amazon account your checkout process should be very easy and smooth. If you do not have an Amazon account then it will only take you a few minutes to register to check out. All the products selected by Rideshare Consulting are products available and shipped by Amazon. Rideshare Consulting is an Amazon affiliate, so a small percentage of commission is provided to Rideshare Consulting on each item purchased however be aware that this costs you, the consumer, absolutely nothing, neither does it increase the price of the rideshare accessories you want to purchase. The commission structure is built into every product on Amazon. In addition, the commission proceeds generated by purchases in the Uber driver shop and Lyft driver shop help to defer the costs of maintaining this website. 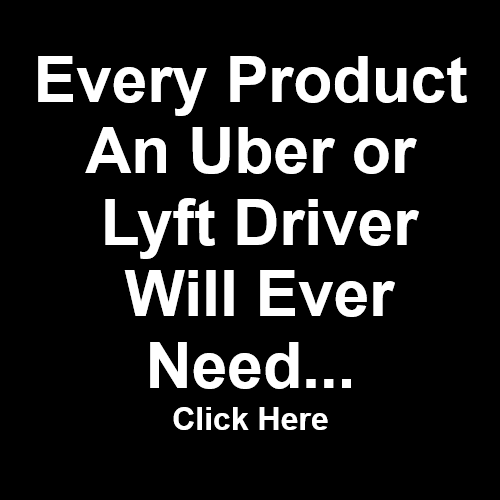 There are products unique to the Uber driver shop and the Lyft driver shop like T-shirts, Jackets and display logos, but most of the products and usable and interchangeable no matter which rideshare company you work for. Please take a moment to look through the shop and please let us know if you think we are missing something for rideshare drivers that should be considered for our shop by just dropping us a note on our Contact Us Form.